Should you renew your EHIC? 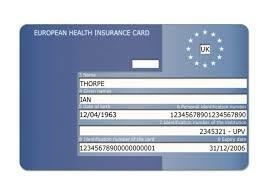 What will happen to the European Health Insurance Card after Brexit? Will travellers need their own travel insurance? To find out, go to our ‘Alerts’ page for further information. This entry was posted in Health, Legal issues, Travel and tagged Brexit, EHIC, travel insurance on February 9, 2019 by admin.